Don't Risk It - Use A Fully Licensed Master Electrician. Licence #83741. If you can’t call us right now, fill out the form below and we’ll contact you within 24 hours. Safety first- we never compromise on the safety of our customers, their homes or business or the products that we use. Up front affordable pricing – We tailor a solution to your needs and agree on a price before work begins, so there are no hidden surprises. Professional – clean, tidy, respectful tradesmen who take all their rubbish away at the end of the job. They are all fully qualified, licensed and insured giving you peace of mind. Excellence guarantee –You will always receive polite and friendly customer service and our workmanship is of the highest quality. Reliable – We know you are busy! So we always arrive when we say we will and give a courtesy call when we are half an hour away, allowing you to plan your day. For more about what our customers think of us, read our testimonials below. We have had the guys at Rhino Electrical Group doing our work for over 7 years, maintaining our domestic properties as well as our commercial properties. We always rely on them, as they have never let us down. The service is first class, the workmanship is faultless. They always have a can do attitude, even when we call to get an Electrical fault sorted out of hours. They charge fairly, there has never been an issue with price. We cannot recommend them highly enough. We have been using the services of Rhino Electrical Group for a long time now, we simply don’t go elsewhere. They really are a no hassle service provider, always on time and cost effective. We use them for call outs at any time of the day or night. They know what they are doing and we feel that our business is in capable hands when they are sorting out our Electrical problems. We recommend Ben and his Team to all of our family and friends. We are always impressed with the level of service that we receive from them. They are always on time and always on budget. The work they do is simply first class. They don’t try to bam boozle you with sparky talk, they make sure that they communicate in a way that we understand. We have used them on various projects, Shop fits & Renovations. We leave all of the design to them for the lighting as they are the professionals, and they are bloody good at it. Our professional qualified electricians lead by Ben Mussig can take care of a broad range of residential and commercial electrical work in the wider Sunshine Coast area. Whether you require an electrician for renovations, are in need of new home wiring services, full-home wiring replacement service, have insurance claims or inspections pending or are extending your home, Rhino Electrical Group has got you covered. We provide electrical inspections, routine electrical wiring maintenance, and will consult with you on ways to make your home more energy efficient. • We employ only qualified and experienced electricians. 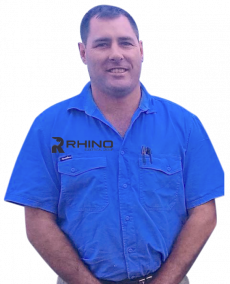 Rhino Electrical Group is a local family owned electrical company servicing all suburbs on the Sunshine Coast. Rhino Electrical Group pride themselves on going above and beyond to exceed your expectations.